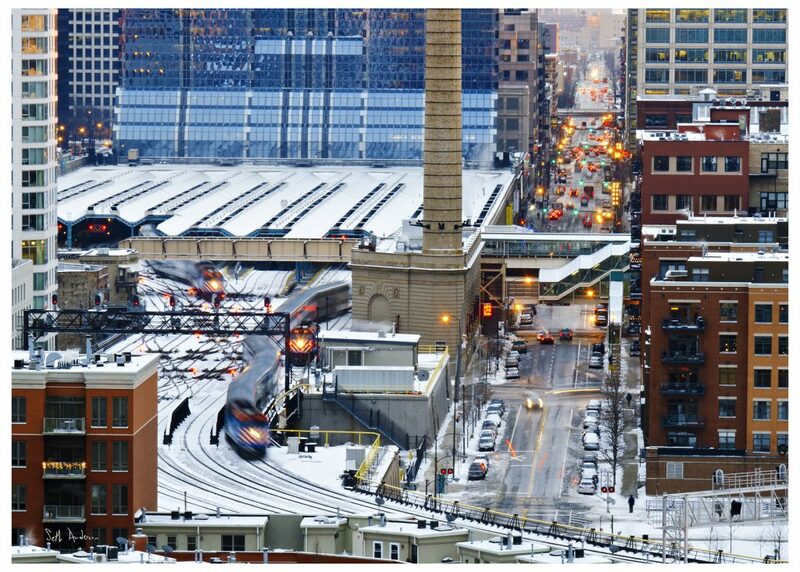 Next door to Chicago’s main hub, West Loop is a classy, bustling neighborhood that’s always full of surprises–and new construction. A big business hub in its own right, West Loop is defined by its refurbished industrial spaces. When you’re moving to West Loop, chances are you’re heading for both a home and a workplace that feature some exposed brick and a pipe or two. You’ll also enjoy a huge assortment of stores, galleries, night life, and literally any kind of restaurant you can think of, from retro dives to destination dining. The 35,000 West Loop residents are an equal split of men and women. The vast majority are singles at the average age of 30. They’re educated to college level or beyond, and tend to have professional jobs – often in artsy, industrial loft offices. In the scheme of things, these West Loopers today are very new to the neighborhood. Through the late 19th century, as the West Loop area was built from factories and warehouses, it saw dramatic labor disputes as workers fought for better conditions. Over the years, tensions among various groups lingered. The University of Illinois shook things up when it opened a new campus in 1961. New businesses and high income residents followed, so that in the 1980s, West Loop started becoming the trendily-distressed neighborhood it is today. Now you’ve got the gist, here are some highlights—and basics—we found to help you start your West Loop life. Mary Bartelme Park: One of several. Cutting-edge playground. Chicago French Market: Music, atmosphere, food, all year. Randolph Street Market: Music, atmosphere, antiques, once a month. Lyon & Healy Hall: Your local serious music venue. Mars Gallery: Colorful shows in airy loft space. Haymarket Memorial: Take a moment of silence. Pizza: Forno Rosso. Delivers Neapolitan-style. Japanese: Ramen Takeya. Dine in or carry out. Brazilian: La Sirena Clandestina. Dinner, brunch, and a true Chicago twist. Global: The Girl and Goat. Everyone’s talking about it. Barbeque: Green Street Smoked Meats. Communal seating and cocktail pitchers. Spicy Chicken: Nando’s Peri-Peri. Can be mild, too. Eat quick or linger with drinks. Vegetarian: Bad Hunter. All about vegetables. Brunch: The Allis. Lighter and vegetarian options, all day. Wine and Music: City Winery. Local wine, world-class concerts. Beer Only: Goose Island Tap Room. Brewery tours. Beer with Food: Jaks Tap. Delivers. Vodka: CH Distillery. Unique flavors with perfect food pairings. Happy Hour: Moneygun. A place to unwind and enjoy. Whole Foods: Parking, workday lunches. J.P. Graziano Grocery: Since 1937. Metro Spice Mart: Indian ingredients. Sawada Coffee: Cafe standards, plus matcha. Meddle Coffee Bar: “Psychedelegant” location. Crosstown Fitness: Group fitness and personal training. West Loop Athletic Club: Group fitness, indoor pool. FFC West Loop: Spa services, childcare, indoor and outdoor pools. Skinner Park: Six Flags for dogs. West Loop Dog Park: Concrete based. This has been a tiny sampling of the great things you’ll experience at your new West Loop home. As a seasoned West Loop moving company, we’ve learned all about the staples and cool places in the area. We’re happy to share more! As you’re planning your big move, cross one major thing off your to-do list, and book West Loop movers who’ll a take load of stress off your mind. Call us at New City Moving, and we’ll help you move safely, smoothly, and on-schedule, so you can settle right in and start living your greatest West Loop life.